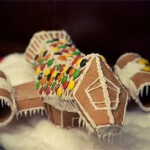 Nothing quite says Happy Holidays quite like a crashing gingerbread Enterprise! 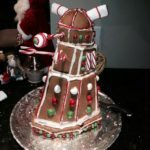 OK, I really don’t see any connection between the two like there would be if this was a gingerbread TARDIS but it still seems like quite the festive way to celebrate the holiday season! I know that if I had this Star Trek Enterprise gingerbread ship sitting on my table I would definitely be having a very happy holiday season! 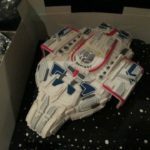 I stumbled across this awesome Star Trek Enterprise gingerbread ship this morning when I went to check Facebook as part of my morning routine. Sadly, I have no idea idea who created this Enterprise gingerbread ship masterpiece but it is one delicious looking gingerbread starship! It even looks like they made a couple of delicious looking Starfleet insignia gingerbread cookies to go with this crashing Enterprise gingerbread ship! If you happen to know who created this festive looking crashing Enterprise gingerbread ship, please let us know who they are in the comments below so we can give them the credit they deserve! 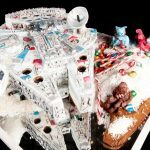 This amazing crashing Enterprise gingerbread ship is definitely more impressive than the gingerbread Star Trek communicator I posted a few years ago although its definitely not the monumental gingerbread Darth Vader I posted last year. However it ranks, it still looks like a delicious way to be a festive Star Trek fan this Christmas! 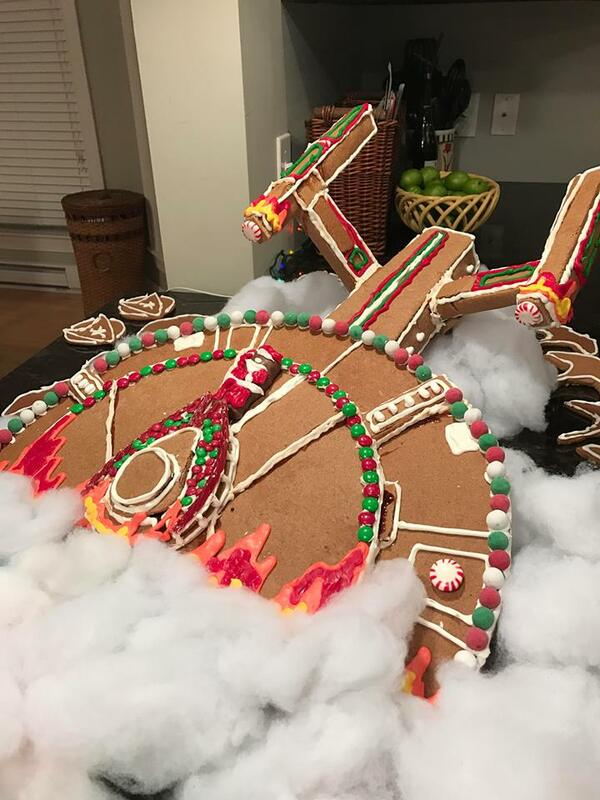 If you plan on making any geeky sweet treats like this crashing Enterprise gingerbread ship this holiday season, make sure to share pictures with us! And don’t forget to wear a Bake It So! cooking apron while you are baking! Oh, and make sure you don’t get burned thanks to a Vulcan solute oven mitt! 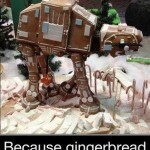 Share this with any Star Trek fans and gingerbread house fans you know! Like Global Geek News on Facebook too!